We’re voracious readers (Molly is a book hoarder extraordinaire) and with that comes the need to find good places to read. We all have our favorites: Molly’s seems to be being curled up like a cat in the corner of her couch, the light from her large dusty windows illuminating the pages. 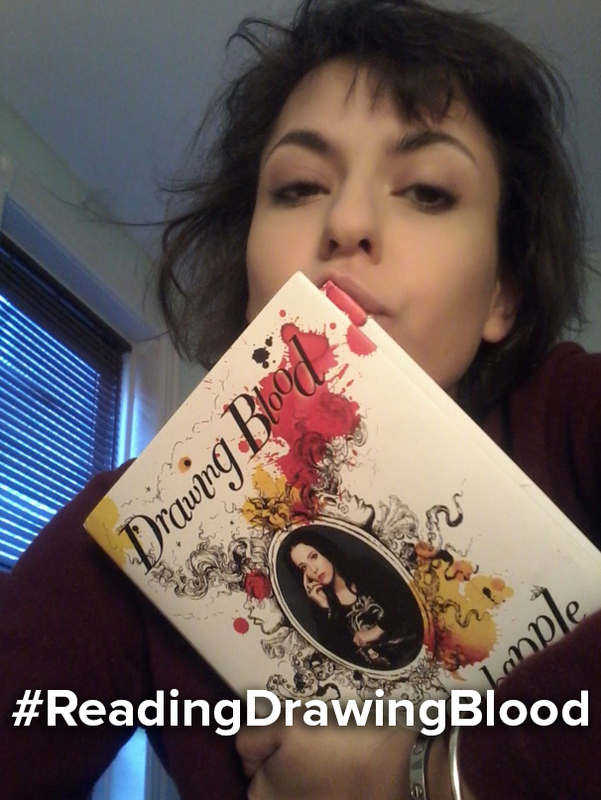 We’re holding a contest: anytime this week tell us on twitter where you plan on reading Drawing Blood (bonus points for photos) and hashtag your tweet #ReadingDrawingBlood. We’ll go through and pick our favorites and send one lucky winner a limited edition, signed and numbered giclee print from the book. Can’t wait to see your replies! This entry was posted in Uncategorized on December 9, 2015 by AC.